Possible Ways to Change Your Chapter 13 Bankruptcy Plan (Part 2) - Castle Rock Bankruptcy Attorney - Jon B. Clarke, P.C. Debtors may petition to change their Chapter 13 bankruptcy plans if they are hit with unforeseen expenses or they previously underestimated the amount of debt they owe. As a continuation of Possible Ways to Change Your Chapter 13 Bankruptcy Plan (Part 1), here are some additional circumstances that could make debtors eligible to petition bankruptcy trustees to alter their Chapter 13 bankruptcy plans. Debtors are hit with unforeseen expenses – While these expenses will not necessarily constitute new debt, they can divert a debtor’s income away from being paid towards the debt included in his Chapter 13 bankruptcy plan. Some medical expenses or even court-ordered payments, such as a new alimony payment or child support payment after a divorce, could be classified as circumstances that would make changes to a Chapter 13 bankruptcy plan permissible. Debtors underestimated their debt in their original bankruptcy plan – Although bankruptcy trustees work with debtors to try to obtain debt values that are as close as possible to the real values of what debtors, in fact, owe, in some cases, debtors will need to estimate debt, and these estimates may actually be lower than the true amount of debt owed. In such cases, debtors will be eligible to petition their bankruptcy trustee to alter their Chapter 13 bankruptcy plan in order to make it reflect the accurate amount of debt owed. Debtors pay off debt quicker than expected – Financial windfalls, such as tax refunds or bonuses, can supply debtors with significant amounts of money that may be used towards completely paying off one or more debts. 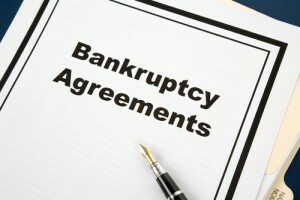 In these cases, debtors should inform their bankruptcy trustee of their new debt situation, as the trustee may be able to restructure the Chapter 13 bankruptcy plan in such a way that would allow the debtor to repay his other debts faster and, consequently, close his bankruptcy case sooner. If you are facing foreclosure, are overwhelmed by seemingly insurmountable debt and are looking for a financial fresh start, contact the trusted Colorado debt relief and bankruptcy lawyers at the Law Office of Jon B. Clarke, P.C. Our experienced legal professionals are committed to providing each of our Clients with the debt relief assistance they need, and we will work tirelessly to ensure that our Clients’ cases are resolved as favorably and efficiently as possible. For a thorough assessment of your situation, along with expert advice regarding the best manner in which to move forward to unburden yourself from debt, call us at (866) 916-3950.